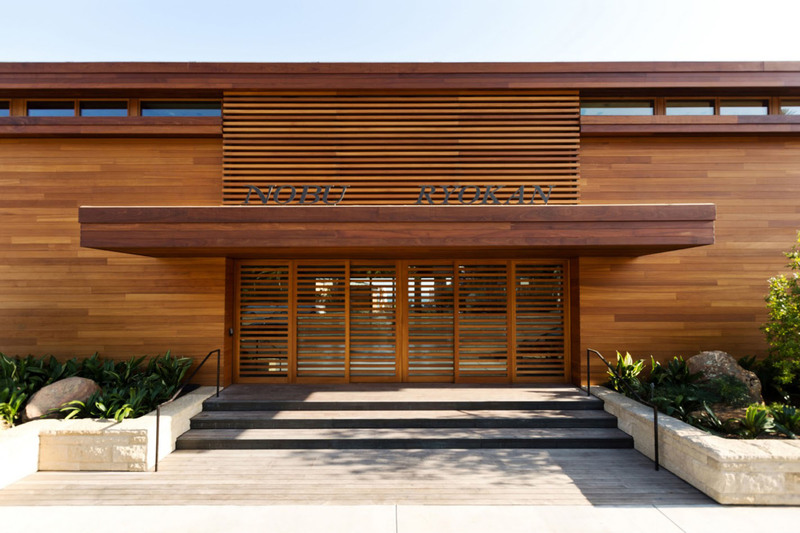 Nobu Ryokan is a renovation of a 1950’s era motel in Malibu, CA. It is the flagship project for the growing Nobu hospitality brand. The design concept of Nobu Ryokan blends elements of a traditional Japanese ryokan (inn) with Western elements of a bed and breakfast and boutique hotel. The resulting project includes rich wood craftsmanship, meaningful material transitions, and framing views, all reflective of traditional Japanese design. Interior and exterior spaces have blurred transitions leaving guests feeling connected to the natural environment. No two rooms are the same and some offer private courtyards with framed views of the Pacific. The design accomplishes this while maintaining the privacy expected of a boutique hotel. 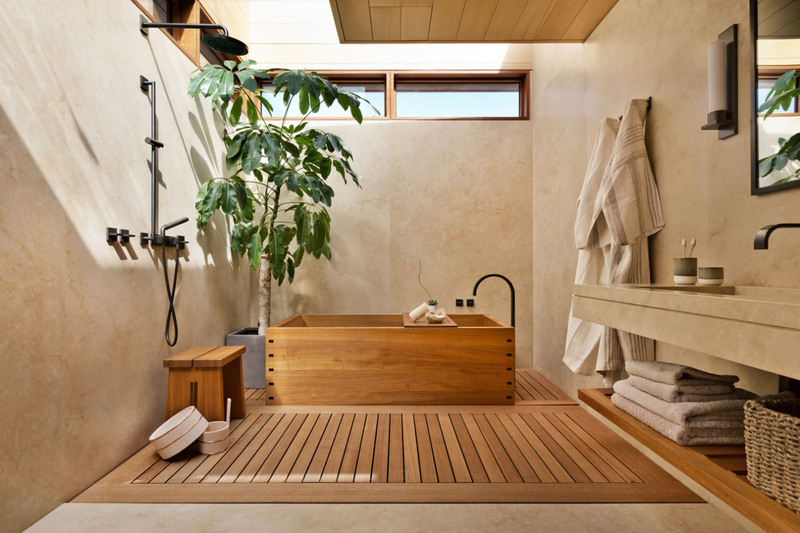 The material palette of Nobu Ryokan is ipe, teak, poured in place concrete, oil rubbed bronze and limestone. Knuckle jointed siding corners and expressing the boards used to form the concrete celebrates the craftsmanship throughout the project. 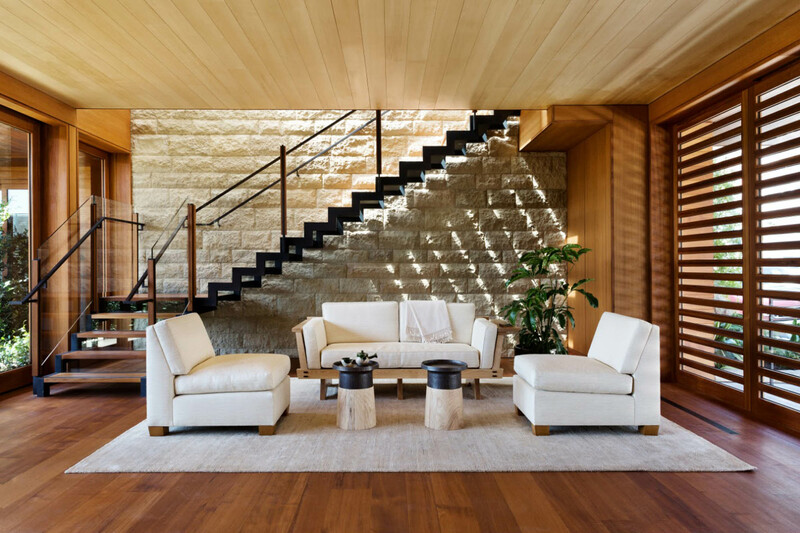 The sandy tones of the concrete and the bronze left to weather organically interact with the natural materials of wood and stone and reinforce the architecture’s connection to the site and surrounding environment. 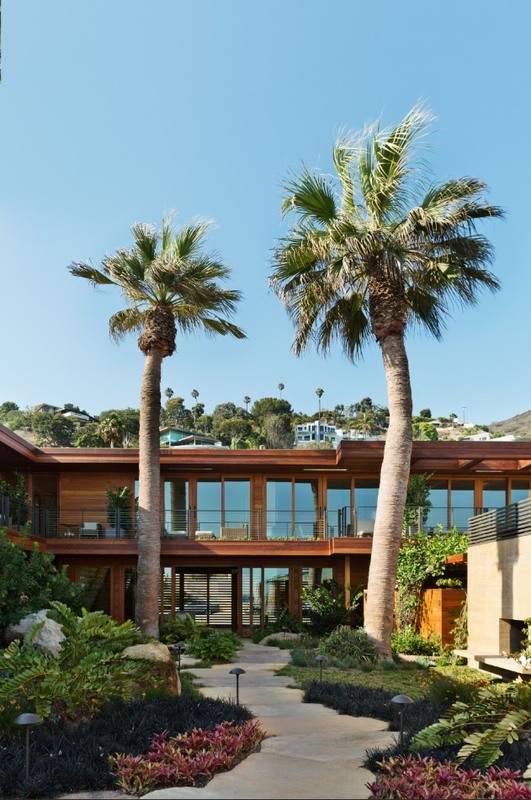 This beach front property in Malibu, California presented some design challenges. The project was a complete renovation that transformed an existing bungalow type roadside motel into a quiet oasis in the heart of a bustling beach community on the Pacific Coast Highway. The city of Malibu has very strict regulations related to building on the beach that the design and construction teams had to navigate. In addition to this, there were structural challenges associated with an ocean side site with the potential for significant seismic activity. Also, because the property is on the PCH, noise mitigation was an important factor in the design. Though you are only steps away from a busy highway, the courtyard feels peaceful and intimate with views drawing the eye to the Pacific Ocean.